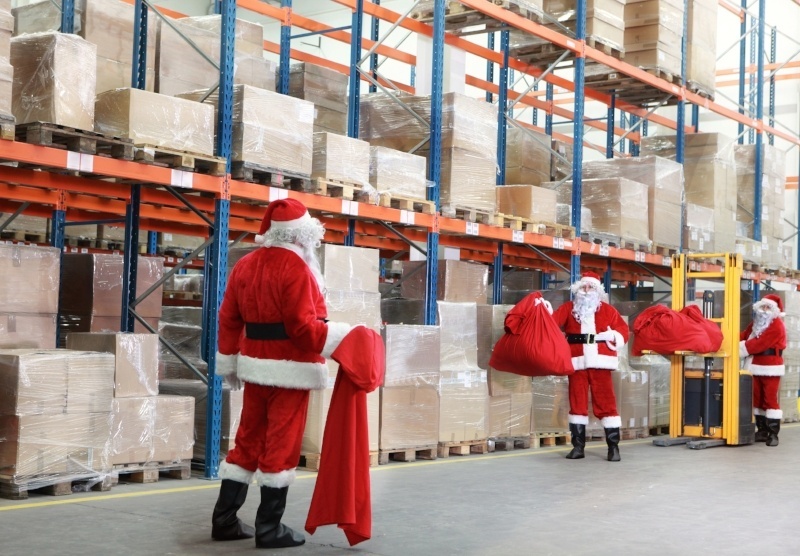 Seasonal Forklift Problems: How Was Your Christmas Rush? The last few months of the year can be particularly busy for every industry. Whether you're in retail distribution, wholesale, manufacturing, or the food and drink industry, the latter of the year presents a different challenge. The seasonal increase in demand for goods before the year's end means that few people experience a lightened workload before getting merry for the holidays. Of course every industry has periods during the year that cause an increase in demand, which in turn can mean an increase in problems. How was your Christmas rush? Did you experience any unforeseen problems? The biggest issues surround an increase in costs and a greater number of accidents. Did your damage costs increase during the Christmas period? With many operators whizzing around at a fast pace in the warehouse, trying to complete their never-ending to-do list, this can have nasty consequences if due diligence isn't paid. Any material handling partner should account for increased damages during busy periods in your contract, so you don't experience a spike in costs come January. With more people, equipment, and hours spent on site, the result can be a greater risk of accidents, leading to both injured people and damaged goods. It's a no-brainer that having a truck with a variety of safety features can help to keep health and safety risks to a minimum. Training is key to keeping health and safety risks to a minimum. During busier periods, there's often an increase in temporary workers—who might be less familiar with your rules, equipment, and layout. Though it requires a significant time investment, it will save you bother in the long run. With more equipment on site, and a higher demand for work than the rest of the year, you may notice your fuel bill going up. Have you maximised the fuel efficiency settings of your trucks? Some trucks, like ours, come with an ECO mode, which means they can be set to reduce the amount of fuel consumed. For more advice on how to optimise your forklift fleet, get in touch with your local dealer. Click the button below to enquire.